Our epic guide to cool cafes in Singapore: have you brunched your way through all these neighbourhoods? 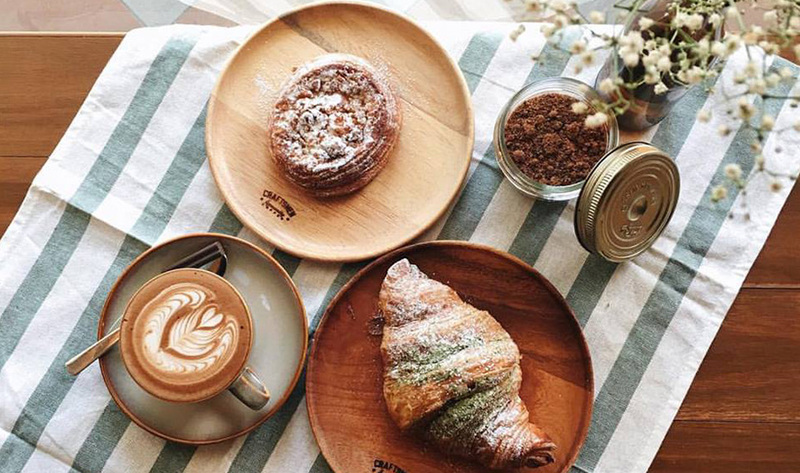 From Orchard to Clementi, Tiong Bahru and Hougang, we've got one epic guide to cafes by neighbourhood. 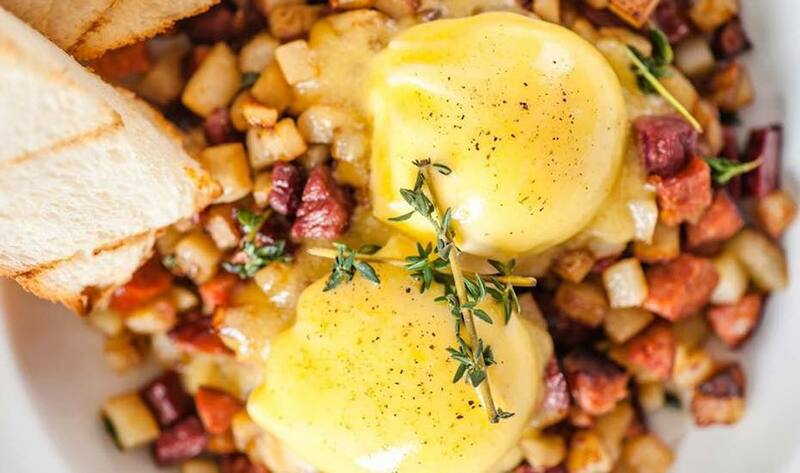 Brunch your way around the island, people! Cold brew lovers, Oriole Coffee is definitely for you! Their signature in-house cold brew coffees are more than delicious, and you can have them either in black, with milk or with cold pressed nut milk made of macadamia, almonds and dates (aptly called the M.A.D. milk). Do also check out their all day breakfast dishes and a wide selection of mains including the juicy Oriole Truffle Burger, St. Louis Pork Ribs, and sweet treats such as the decadent Chocolate Fudge Cake topped with Cold Stone Creamery’s French Vanilla ice cream. Oriole Coffee + Bar, 96 Somerset Road #01-01, Pan Pacific Serviced Suites Orchard (next to 313@Somerset), Singapore 238163. p.6238 8348. 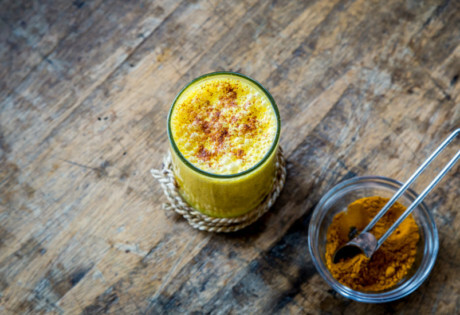 Would you trade your coffee for these drink trends? Nothing like a plate of hearty brunch to kickstart the weekend, and Wild Honey is definitely one of our top picks! Our favourites include the Spanish, a dish of diced chorizo, Corned beef and potatoes with poached eggs on signature brioche, and the Brittany, a marvellous creation of Panettone French Toast with baby bananas, salted caramel mascarpone, toffee’d hazelnuts and salted caramel sauce. There are two locations to choose from (Scotts Square and Mandarin Gallery), but we recommend heading there early because there’s always a queue for it. Wild Honey, multiple locations including Scotts Square and Mandarin Gallery. PS.Cafe is never a bad idea: There’s great food, plenty of aesthetics, and the dining experience is always fantastic. Looking for something classy? PS.Cafe Palais Renaissance is your choice for brunch, with its iconic high ceilings, classic decor, an outdoor eating area, and plenty of natural light for your perfect Instagram shot. Of course, the food doesn’t disappoint too, which probably explains the usual long wait to enter. PS.Cafe Palais Renaissance, 390 Orchard Road, #02-09A, Singapore 238871. This specialty coffee chain from Hong Kong sure knows its stuff, and it’s no wonder we keep going back for more. Take your pick from the classics, hand-crafted cold brew and nitro, and the signatures menu which includes the popular Okinawa and Manuka drinks – coffee with Okinawan brown cane sugar and honey respectively. If you’re here for some food, check out their all day dining and desserts. The Coffee Academics, multiple locations including Scotts Square and Raffles City. It’s founded by the folks behind Benjamin Barker, but they certainly know their stuff when it comes to food and drinks. Here, you can find some particularly interesting brunch items including a fusion Rendang Mac and Cheese, Rosti Benedict and a hearty Assembly Brunch. Their pastas are delicious too – we suggest you go for the spicy beef fettucine or hae bee hiam aglio olio. Stopping by for a quick lunch break? Look out for their unique set lunches. The Assembly Ground, 2 Handy Road #01-21, Singapore 229233. Where to get a potent cuppa Joe in Siglap? We point in the direction of these quaint coffee connoisseurs, huddled within a charming store filled with whimsical details like Danish pottery and nutcracker dolls. And once you’re done getting googly-eyed at the décor, order anything from hazelnut and butterscotch latte, to espresso and cortado – they’ll have it. Oh, and did we mention they’ve got white truffle buttermilk waffles? Sold. Craftsmen Specialty Coffee, #01-01 Siglap V, 2 First Street, Singapore 458278, p. 9658 0769. This coffee house serves a mean cup of coffee and divine brunch selections. Together with a great ambience and interior design (look, glass ceiling roofs! ), this is our go to spot for a date with our books. Dutch Colony Coffee Co., 113 Frankel Ave, Singapore 458230, p. 6448 5852. All-day breakfast places aren’t all in the heart of town; there’s one right here too in Siglap! The Royals feeds you like royalty with deluxe French toast sets and big breakfasts (all Halal) ’til 9pm, and also offers Asian options like Nyonya mee siam and beef rendang. We’re also fans of the mini pies (their Shepherd’s pie hits the spot every time) and cakes that line the counter. The Royals Café, 19 Upper East Coast Road, Crescendo Building, Singapore 455209, p. 8481 0080. Sharing the same venue with flower shop Dawn Q Floral Design is Stamping Ground Coffee – little wonder that it looks like an indoor garden and smells like spring. From Singapore Papa Palheta’s Throwback Blend to Melbourne’s Rumble Coffee Roasters, Stamping Ground Coffee serves a variety of coffee blends as well as signature cold brews.Stamping Ground Coffee, 87 Upper East Coast Road, Singapore 455223, p. 9070 7610. Dodge the heat with ice cream from Udders & Kook. Flavours include the classic Cookies and Cream, boozy Rum Rum Raisin, and the local Mo Shan Wang Durian. But if it’s a proper meal you seek, order the Marmite and Maple or Smoked Salmon Burger, or mains like Bangers and Mash. Udders & Kook, 81 Upper East Coast Road, Singapore 455220, p. 6448 8732. This industrial-warehouse café with amazing interiors and ambience is a favourite among cyclists. We can spend the entire day here with a book in hand and a steaming hot cuppa latte. It’s pet-friendly too! Wheeler’s Yard, 28 Lorong Ampas, Singapore 328781, p. 6254 9128. Two things make Monnkier unique: its decor style inspired by a “Victorian steampunk airship” as well as experiential kitchen and dining concept that sees a special themed menu each weekend. Some of the weekend menu concepts are Mumbai Spice and Kitchen Science. Follow them on Facebook for regular updates. Monniker, 387 Balestier Road, Singapore 329795. Percolate is an unpretentious joint for coffee connoisseurs. The café, which recently expanded, stocks a decent range of coffee beans from all over the world including Workshop Coffee Co. London. Go there for brunch and have their buttery croissant filled with either egg mayo, curry chicken or smoked salmon. Percolate, 136 Bedok North Avenue 3, Singapore 460136, p. 8259 0316. Deconstructed strawberry cheesecake, mojito cocktail spheres and chocolate jardin; these are a few of FatCat’s fancy menu offerings. This chi-chi café even hosts degustation sessions now. Upmarket bites in the ‘burbs – why not? FatCat Ice Cream Bar, #01-25, Block 416 Bedok North Avenue 2, Singapore 460416, p. 6241 0830. If you’re in the East (specifically, around the Bedok area) and need some house-brewed coffee, red velvet waffles and honey lavender ice-cream to perk you up, give RouteSixtySix a go. Named after the well-known US highway (yes, there’s a pattern going on in our Hot New Cafes this mont), this industrial-inspired café offers coffees ranging from $3.50 to $5.50, and waffles starting from $5.90 with flavours such as buttermilk, charcoal and red velvet. RouteSixtySix, #01-122, 412 Bedok North Ave 2, Singapore 460412, p. 9752 0054. Sweet tooths will love D’zerts Café. The spacious cafe serves a wide array of pastries as well as gelatos, and they also do a satisfying cuppa java. We recommend ordering their Deliciously Dark Chocolate Fudge Cake and Mango Passion.D’zerts Café, 30 Jalan Pari Burong, Singapore 488696, p. 6448 6707. Whether you’re looking for a classic latte or more delicate brews like V-60, Chemex, Siphon, or a cold brew, they’ve got it all. Budding baristas can get their shopping done here; the cafe stocks a decent range of coffee brewing equipment and accessories, along with beans from one of our favourite local roasters – Dutch Colony Coffee Co.
Craftsmen Specialty Coffee, #01-06 Eastwood Centre, 20 Eastwood Road, Singapore 486442, p. 9658 0769. 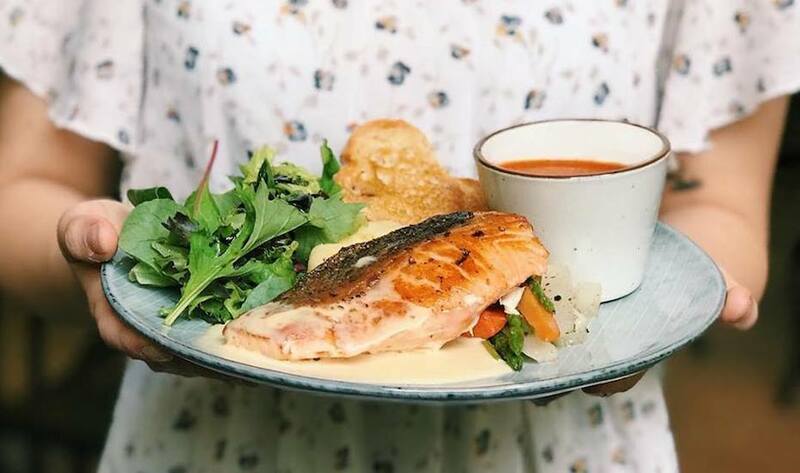 It may be small, but this quaint, Muslim-owned shoebox café nestled behind Simpang Bedok serves generous portions of Mediterranean dishes like salmon spaghetti, Beef Bongo and pan-fried salmon with mashed potatoes. Their 5cm thick, succulent beef ribs slathered in creamy brown sauce is totally worth getting your hands dirty for. Badoque, 298 Bedok Road, Singapore 469454, p. 6446 6928. These guys were one of the first to set up shop in the area. The Australian-style hangout is mostly known for their brunch items such as French toast and eggs benedict, but many coffee aficionados make the journey to try blends made with their legendary Slayer espresso machine – a rather elusive piece of equipment in the industry. Jimmy Monkey Cafe & Bar, #01-51 One-North Residences, 9 One-North Gateway, Singapore 138643, p. 6777 8470. There’s a little bit of everything here at Long Black Cafe. Their lunch specials are ever changing, and with stuff like a pork tonkatsu sandwich, tandoori lamb chop and quesadillas, there’s a good mix of cuisine types to try. Drink-wise, their coffee blends hail from Brazil, India, Ethiopia and Guatemala, If you prefer your liquids spiked, there’s a small range of cocktails to throw back. You should know, though, they’re only open on weekdays. Long Black Cafe, #01-02 Centros, 20 Biopolis Way, Singapore 138668, p. 6478 9945. An Aussie-inspired café by day and tapas bar by night, Paddy Hills boasts a hidden location away from the bustle of city crowds. Be sure to order up the best-selling berry ricotta hotcakes served with maple syrup, and coffee hand-brewed with Tiong Hoe specialty coffee beans.Paddy Hills, 38 South Buona Vista Road, Singapore 118164, p. 6479 0800. The small, tightly curated menu is great for the indecisive. It currently has three caffeine options, and they’re all made using beans from Yahava Koffeeworks. Eggs and toast, cod fish and chips, mac and cheese, truffle fries, red velvet cheesecake brownie (a must-try) are some of the items to choose from. Curbside Cafe & Wine Bar, #01-21 Nucleos, 21 Biopolis Road, Singapore 138567, p. 8181 1805. Big, bold, and bodacious best describes this under-the-radar cafe’s grub – think wagyu beef stew topped with mash, steak and fries and duck confit. Major plus points for the floor-to-ceiling windows and breezy atmosphere despite the industrial decor style. Bodacious Bar & Bistro, 70 Biopolis Street, Singapore 138547, p. 6778 9585. Don’t want to miss out on the cafe-hopping fun, but watching your diet closely? Have your cake and eat it too at The Lawn: a health-conscious salad stop where you can customise your green bowl with an array of toppings and grilled meats. We’re not talking plain steak cubes and grilled chicken, by the way – chow down on items like maple-infused chicken breast and chargrilled prawns. The Lawn Salad & Grill Cafe, #01-07 Nanos, 31 Biopolis Way, Singapore 138669, p. 6478 9739. At Revolution, you can be sure your coffees will be solid ones, as founder Ajie uses Sydney’s famed Single Origin Roasters’ Reservoir Blend here. For the grub, he has brought in Shen Tan (formerly from Ujong and Wok & Barrel) to help conceptualise a delishly tempting menu. Try the pancakes with gula melaka butterscotch or the bacon pasta littered with cured fatty pork for a tempting treat. Revolution Coffee, #01-03A Infinite Studios, 21 Media Circle, Singapore 138562, p. 6777 2110. Built on an intense passion for coffee, The Tiny Roaster is a both a coffee roasting studio and handcrafted brew java bar. While they take real pride in their craft and only stock quality green coffees sourced from across the world, these guys are no java snobs. Come down for a cupping session and see for yourselves!The Tiny Roaster, 106 Clementi Street 12, #01-62, Singapore 120106. Planning to pair your coffee with a proper meal and dessert? Buttercake n Cream serves Western and Italian dishes like beef burgers and seafood aglio olio as well as homemade desserts, alongside freshly roasted premium coffee that’s bound to tantalise your taste buds. Plus, with its flora-surrounded décor, you’ll feel like you’re dining in an indoor garden! Buttercake n Cream, #01-52, Blk 106, Clementi St 12, Singapore 120106, p. 6777 3477. Say hello to Everton Park’s newest tenant. Like its name suggests, Marble Bistro is a casual 28-seater eatery where you’ll find plenty of marble touches around the space. Don’t expect your average café here: helmed by a team of Culinary Institute of America-trained chefs (in partnership with Singapore Institute of Technology), Marble Bistro’s menu is inventive: think devilled eggs served in a bell jar, a mushroom macchiato, and fish & chips featuring aburi eel. Marble Bistro, 6 Everton Park, #01-18, Singapore 080006, p. 9795 7262. Like its name suggests, this joint is the perfect no frills hideaway for a caffeine fix. Look beyond the simple interior or menu – coffee connoisseurs will be pleased with the vast selection of premium coffee beans from all over the world and different brewing methods. Just Want Coffee, #01-27, Blk 1 Everton Park, Singapore 081001, p. 6225 8115. Niche lifestyle and magazine brand Monocle has set up a café, office and retail store in sunny Singapore. Yay! Housed in a two-storey shophouse apartment, the café screams hipster, but in a good way. The Monocle Cafe, 74 Jalan Kelabu Asap, Singapore 278267, p. 6475 1816. 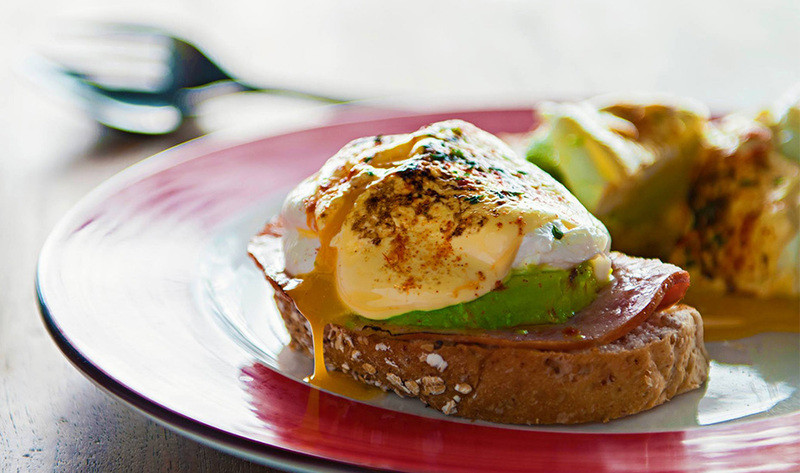 However you like your eggs, the folks at Hatched will give a comprehensive egg-ducation with their egg-centric menu of brunch classics like eggs Benedict, dippy eggs & soldiers, and a customisable full breakfast menu. In the mood for something unusual? Try the sleepover hatched special – grilled bananas and streaky bacon sandwiched between a thick French brioche toast, drizzled with maple syrup. Hatched, 267 Holland Avenue, Singapore 278989. p. 6463 0012. Throw a stone anywhere in Singapore, and chances are it’ll crack the windows of a café serving all-day brunch. Holland Village is no exception, so if it’s a brunchy bite you’re craving, head down to Breko’s and tuck into a variety of waffles or their classic brekkie in a pan. Want something less brunchy? Not a problem; Breko also offers a broad selection of mains like burgers, steak and pan-fried salmon. Breko Café, 38 Lorong Mambong, Singapore 277694. p. 6468 4424. This café has it all: gorgeous décor and Insta-worthy desserts. The menu here is constantly changing, with creations like the artfully plated Spring Medley and the Japanese winter-inspired KYOTO that features matcha white chocolate, Madagascan vanilla ice cream and a selection of handmade sweets. Sunday Folks, #01-52 Chip Bee Gardens, 44 Jalan Merah Saga, Singapore 278116. Walking distance from Kovan MRT, this whimsical bakehouse and café doesn’t serve any savoury grub. Instead, you’ll find a wide array of fluffy waffles and delectable cakes. The real selling point for us is the fun and friendly staff who never fail to make everyone feel welcome. 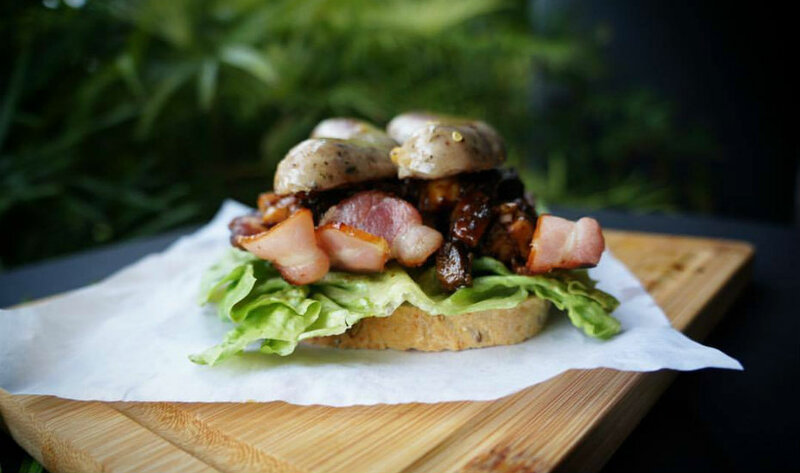 Hatter Street Bakehouse & Café, #01-333, 212 Hougang Street 21, Singapore 530212, p. 6988 4591. Along a quiet row of nondescript shophouses near Kovan MRT sits this cosy eatery that’s big on brunch and beer (music to our ears). For a neighbourhood spot, their selection of craft beers, categorised into light, hoppy, roasted and sweet, is pretty amazing – cult labels like Brewdog and Magic Hat are on the menu. Go for the Full Monty Breakfast, which includes scrambled eggs, toast, bacon, ham, and a huge sausage, if you’re there for brunch. Lola’s Café, 5 Simon Road, Singapore 545893, p. 6284 0349. Sick of the usual brunch fare? Then swing by Flavour Flings; the humble café whips up a delicious serving of eggs casserole – de Marie’s Baked Eggs – that’s served with warm slices of baguette. Flavour Flings, #01-1348, 121 Hougang Avenue 1, Singapore 530121, p. 6286 0051. Together with The Summerhouse, Wildseed is a café nestled within the hot, new dining enclave of Seletar Aerospace Park. Thanks to its original colonial architecture and tranquil gardens, the space oozes with old-world charm – total Instagram fodder! Expect a menu of hearty brunch bites, sandwiches, cakes, pastries, and freshly roasted coffee. It gets better: Wildseed transforms into a bar at night and even has an in-house florist, Poppy Flora Studio. Wildseed Café, 3 Park Lane, Singapore 798387, p. 6262 1063. We all know and love Wheeler’s Yard (mostly, its Insta-famous blue door). Now, meet its sister establishment. Consisting of a restaurant, café, bar, and events space, Wheeler’s Estate is every café-hopping, latté-sipping, brunch-loving foodie’s dream come true: it is set on two acres of lush greenery in a cluster of beautifully restored colonial bungalows at Seletar Aerospace Park – need we say more? Menu-wise, Wheeler’s Estate serves up brunch staples like avocado on sourdough toast, and heartier mains such as Tomahawk steak and a suckling pig feastWheeler’s Estate, 2 Park Lane, Seletar Aerospace Park, Singapore 798386, p. 6262 0001. Hidden behind Singapore Badminton Hall is cosy little coffee house, Brawn & Brains. Drop by for a dose of caffeine that’s easy on your pocket after a hot yoga sesh at Yoga Inc, located right next door! Brawn & Brains, 100 Guillemard Road #01-02, Singapore 399718, p. 6348 0501. This quaint café is brimming with good vibes. Besides mouth-watering desserts, Cravings also opens their doors and kitchen space for parties and home-bakers alike. Cravings, #01-05, 6 Tebing Lane, Singapore 828835, p.8685 8786. This massive open-air bistro provides tranquil views of the river and its surrounds. On the menu are a whole host of comfort grub, including macaroni and cheese, pulled pork soft tacos and Eggs Benedict smoked salmon served atop waffles. It’s also a charming watering hole in the evening; come here to kick back over cocktails and bar bites.Whisk and Paddle, #01-01, 10 Tebing Lane, Singapore 828836, p. 6242 4617. You might be surprised to know that this specialty coffee house started back in 1960. Yes, Tiong Hoe was hipster before hipster was even a thing. Besides serving a mean cuppa, Tiong Hoe also conducts coffee appreciation workshops for coffeephiles. These guys have so much respect for their craft that prices are on a tipping basis. Give Tiong Hoe a go if you’re in pursuit for the perfect roast. Tiong Hoe Specialty Coffee, #01-1133, Block 170 Stirling Road, Singapore 140170, p. 6473 1133. Unpretentious is the word for this cosy neighborhood ice cream parlor run by Campus Superstar alumnus, Renfred Ng. Serious about quality, the creamy gelatos here are made in small batches to ensure freshness and taste. We appreciate that their buttery waffles are served in half portions, giving us more space for ice cream. Get a scoop of their Sicilian Pistachio, Strawberry Cheesecake, Straciatella, or all three! The Milky Way Homemade Ice Cream and Coffee, #01-333, Block 48, Tanglin Halt Road, Singapore 142048. Had enough of champagne brunches? Dial down the decadence with Arbite’s pared down fare. Two standouts include the Gula Melaka Tiramisu, as well as smoked salmon pancakes served with basil cream cheese, watermelon, almond flakes and toasted sesame, topped with a poached egg. Arbite, 66A Serangoon Garden Way, Singapore 555962, p. 9456 3807. For those with a sweet tooth, Wimbly Lu Chocolates is the place to be. Add some spark to your date night at this whimsical, chocolate-y café. We love their waffles (crispy on the outside, soft on the inside!) with homemade ice cream and could have it any time of the day. Wimbly Lu Chocolates, 15-2 Jalan Riang, Singapore 358987, p. 6289 1489. Housed in an Art Deco shophouse, Chye Seng Huat Hardware is a specialty coffee shop that’s home to Singapore’s first 360-degree coffee bar. If the heat’s getting to you, sit down to a bottle of this café’s smooth, cold-brewed coffee for a perk-me-up. Also on the menu are brunch treats like the pandan gula melaka pancake, and the hangover-slaying Papa’s Breakfast with spicy Italian pork sausage, portobello mushrooms, grilled tomato, and hash brown served on a slice of toasted wholemeal bread. Chye Seng Huat Hardware, 150 Tyrwhitt Road, Singapore 207563, p. 6396 0609. There’s nothing we love more than the buttery smell of baked goods, and that’s what pulled us into Butter Studio. Cupcakes here are all-round winners – try the red velvet – and they get extra points for the nostalgic décor. Butter Studio, 147 Jalan Besar, Singapore 208865, p. 6294 7115. You don’t just get one type of experience at The Refinery – you get three. The establishment is split into three levels; the first floor houses a yakitori restaurant, the second floor is home to a bespoke cocktail bar, and the third is where you’ll find a craft workshop. What’s not to love? Specialising in tarts, this quaint café – owned by former Shangri-La pastry chef Alfred Tan – dishes out the best fruit tarts in town, including one that’s topped with figs. Decorated with beautiful teak furniture from the Bangkok-based Sim Design, the café interior is easy on the eyes… and your Instagram feed. Selling one of the best cupcakes in town is Plain Vanilla. Even healthy yogis from Yoga Movement can’t resist them (we’ve seen them going from the studio to the cafe)! Seating is only outdoors, but for their delicious desserts (they have cakes and tarts too), we will brave the heat. Plain Vanilla, multiple locations including Tiong Bahru and Telok Ayer. This iconic bakery at Tiong Bahru is one of our top spots for French pastries! Hot sellers such as their butter croissants and chocolate croissants look almost too good to eat – the layers are distinctly fanned out and provide a great crisp to the pastry. If you need to satisfy your sweet tooth, you have to give the Kouign Amann a go; and don’t get us started on their rich, fudgy brownies!Tiong Bahru Bakery, 56 Eng Hoon Street, #01-70, Singapore 160056, p. 6220 3430. 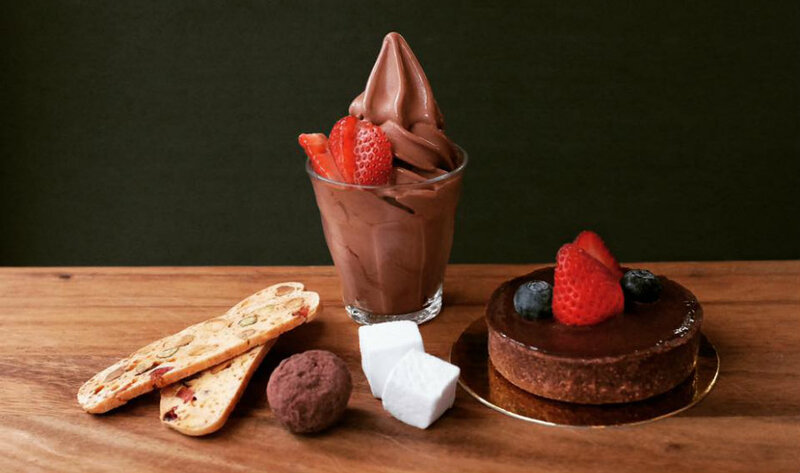 Owned by local patissier, Tricia Lim, expect mouth-watering desserts and pastries from Whisk Café – some would say their croissants are better than those from Paris! Good scones are also hard to come by in Singapore, but our taste buds were reeling in joy when we got to try Whisk’s Earl Grey and Candied Orange scones. Whisk Café, #01-15, 58 Seng Poh Road, Singapore 160058, p. 6222 6543. These guys were the pioneers in Tiong Bahru’s gentrification. Even though their speciality is coffee, the sandwiches here are pretty damn fine too; they’ve recently added a Pork Katsu Sandwich on their menu. Come early as this place gets full by mid-day. Forty Hands, 78 Yong Siak Street, #01-12 Singapore 163078, p. 6225 8545. Open daily 730am-530pm. 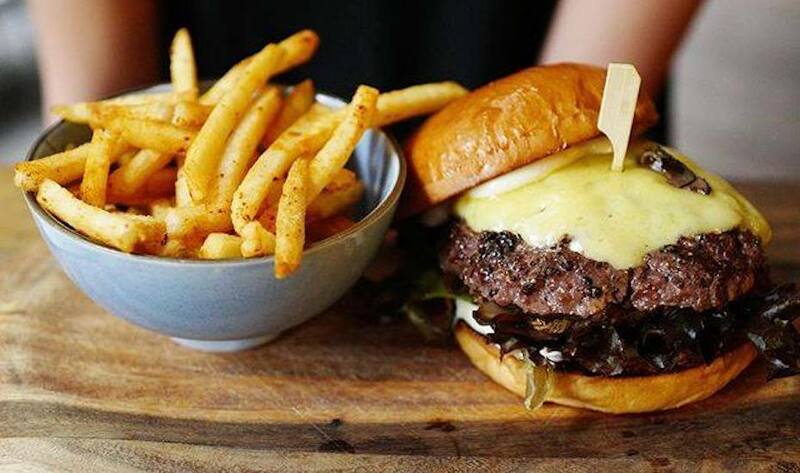 This casual cafe sits quietly along Toa Payoh Central, serving up mostly Western fare. You’ll be pleasantly surprised by the menu – it includes baked escargots, tom yum seafood spaghetti, grilled buttermilk chicken, as well as desserts, wine and ciders. Creamier serves two of our favourite things – ice cream and coffee. Based in one of the oldest heartlands in Singapore, the simple café attracts everyone from all walks of life. We love their Earl Grey lavender ice cream, but then again, who can say no to Earl Grey and Lavender? Definitely not us. Creamier,#01-835 Block 128, Lorong 1 Toa Payoh, Singapore 310128, p. 6250 1476. It’s a sin if you don’t order a cup of their coffee from Shrove Tuesday – the beans are flown in from Italy and are carefully sourced from the owner. Serving wholesome grub at a steal, this brightly-coloured café makes for a nice hang-out with the mates. Shrove Tuesday, #01-32, 94 Toa Payoh Lorong 4, Singapore 310094, p. 6258 2254. Run by the same founders behind Penny University, Brothers in Fine Food serves affordable, quality cafe fare straight out of the ‘burbs. Swing by on a weekend for a gut-busting meal; these guys serve up impeccable brunch options, including massive breakfast plates, smoothie bowls and Moroccan baked eggs. Brothers in Fine Food, #02-07, West Community Club, 5 Tampines Ave 3, Singapore 529705, p. 9008 9314. We love how cosy and homely this cafe is. Head to the second and third floors of the space and you’ll see what we mean. Plus, the smell of muffins is too good to resist. The spiced carrot flavour is the signature here, but we also recommend the earl grey and fig, or the lavender lemon muffins. It’s hard to miss My Awesome Cafe: it’s got Chinese medicinal store façade, and striking industrial interior. It’s an awesome addition to healthy lunch options with a great range of salads; we can’t not order My Awesome Salad, a generous portion of mesclun with smoked salmon, herbed chicken breast, duck rillettes, avocado and tomatoes. My Awesome Café, 202 Telok Ayer St,reet Singapore 068639, p. 8428 0102. If you’re looking for Aussie cafe fare, this is your place. It’s always They have also introduced a range of healthy options like the fabulous vegan soft-serve, Cocowhip – very on-trend, we say. Sarnies, 36 Telok Ayer Street, Singapore 068601. 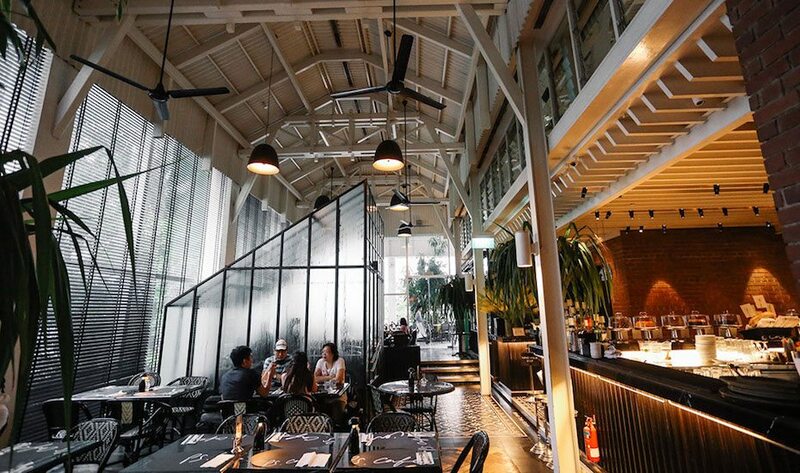 The Providore has got to be the prettiest cafe in all of Raffles Place, as it’s housed in a glasshouse. While both a retail store and flagship café – expect nosh like bomba paella rice, lamb meatballs and lobster mac & cheese – it also offer scraft beers and wine-on-tap for both indoor and alfresco patrons.